There are stupers (short, yet again, for indefensibly stupid persons) in every profession. However, a few callings attract more than their fair share. 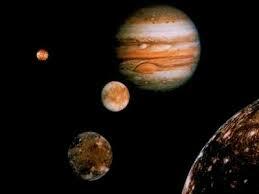 One profession draws in enough idiots to heavily populate the northern tip of the rapidly rotating planet Jupiter and a few of its sixty-three plus moons. Stupers flock to this occupation like drunks to fire water. Or was that monks to holy water? The qualifications for this above-mentioned profession include: a singular talent for lying, total lack of compassion for others, including, but not limited to, close family members, a mid-range ability to deceive the public at large, and preferably, a meaningless ivy league degree. Good looks, integrity and discretion are optional, but open palms are a necessity. Here’s the real clincher: must appear somewhat sincere. I know, most of my dear readers are thinking Keli must be referring to upper level management for the Infernal (sic) Revenue Service (IRS), or perhaps she’s speaking of an elite class of used car salesmen. I’m sorry, neither is quite correct, although these would make legitimate back-up jobs for the transgressors I’m referring to. I speak of politicians. Not exactly the stuff of “everyday stupidity,” but I recently felt highly disenchanted for about fifteen minutes thanks to the latest sordid scandal regarding a former presidential contender. It made me question whether there currently even exists a single, solitary, intelligent, sincere, capable and charming political candidate? With less than three months to go until the U.S. Presidential election, I do plan on voting, and I think I’ve found the perfect write-in to vote for: Keli Garson. I have total self-control when in uncomfortable, conflict-filled situations. For instance, right now, as I sit in the public library typing away for my dearest readers, I’d really rather be strangling the child standing dead center of this facility where sound most fully reverberates and whining something about needing to immediately go to the bathroom. Actually, I’ve got a double dose of self-control because I’d like to strangle her mother too for not taking said child to the nearest restroom. I think my vast experience as a stay-at-home parent would push me way past the other candidates because as most SAH parents know, there are days when super human strength is required in order to balance everyone’s needs without necessitating a trip to the local asylum. I’m afraid I once practiced law and as such, spent all of my time negotiating and drafting agreements for barracudas who ran various departments of movie studios. And I worked for a company that handled labor disputes for the major entertainment industry labor unions! If that doesn’t rival negotiating with leaders of foreign countries, I don’t know what does. There you have it! Remember, a vote for me and we’re all one step closer to wiping out stupidity. This entry was posted on Wednesday, August 13th, 2008 at 2:42 pm and is filed under Professional Stupidity. You can follow any responses to this entry through the RSS 2.0 feed. You can leave a response, or trackback from your own site. I would say you have some pretty good qualifications! Maybe you should consider politics as your next career. About that screaming child in the library and mother not doing anything to tend to her needs ~~ I once was sitting in the waiting area at my dermatologist office. There was a little girl (around 3-4) and her Mother who totally ignored this child. The little girl came to me with a book and asked me to read to her. She then asked ME to take her to the bathroom. Unbelievable! The Mother never even looked up. “One profession draws in enough idiots to heavily populate the northern tip of the rapidly rotating planet Jupiter and a few of its sixty-three plus moons..” you’ll leave the rest of the candidates biting the dust. Dan is right! Folks will love that! In return for my vote (which of course you have), I just want that lemon meringue pie. Oh hell yes. I’d vote for you. As long as I can get appointed to some cushy cabinet gig. Let’s say,…Secretary of the Treasury? Rolling around in cash all day is right up my alley! You’ve got my vote, Sista! You have my vote, too. Seriously, I’m writing you in. It was the pie baking that did it for me! I have a killer sweet tooth, so this is a very important issue to me. I don’t know how I feel about the John Edwards thing yet. I am sad for his wife more than anything, but I understand human imperfections. I certainly don’t condone it, but I am more sympathetic than I used to be. There is sadness and disappointment all around. He seems appropriately apologetic, but then again he lied repeatedly about it when questioned, and even recently was meeting the woman in secret. I suppose we’ll never know the whole truth. And I bet he can’t bake a pie anyway. Oh well, bring on the next bozo. Your work in the entertainment industry sounds fascinating. Too bad about confidentiality, cuz that would make a great blog! On a platform like that I think I’ll start floating the idea of a US/EU President. You’d certainly do a better job than the corrupt folk in the EU. Did you know that the EU accounts haven’t been signed off for 12 years? They don’t know where the money is!!!! Honey you sure have my vote. Can I cheat and vote few times? Keli you already have 8 votes. What are you waiting for? Add my vote to it also. Thank you all my dear constituents, for your votes! I always knew my readers, and most especially my commentators, were cut from the most intelligent parts of the cloth. 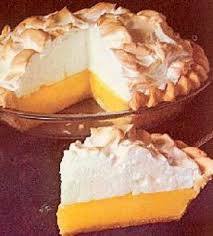 And not to worry, you’d all get cushy cabinet gigs (and lemon meringue pie)! If there are no more stupers how will we work ourselves into a righteous rage to provide that occasional catharsis we all need? Also, if they are gone, who will make us feel morally and intellectually superior? And finally, and most important, what would you write about? Very good point! But not too worry. They ain’t goin’ nowhere any time soon!